Authors: Joshua D. Simon, Benjamin J. Shappee, G. Pojmański, et al. This week, Boyajian’s Star is back in the news again, the subject of two new studies. The first confirms that the slow fade observed by Kepler is happening across a broad range of colors. The second, which we’ll explore in today’s bite, points out that this consistent fade might not be so consistent after all. When an interesting astronomical object like Boyajian’s Star is discovered, the first thing astronomers do is go comb through older observations taken of the same piece of sky. They hope that the object will serendipitously appear in this older data, and that they can compare what it looked like then (before it started behaving strangely) and now. When a supernova goes off, for example, astronomers rush to the archives to try to see what it looked like before it exploded–what type of star was it, and were there any clues to hint at its spectacular demise? Today’s authors analyze over ten years of observations taken by the two robotic telescopes of the All Sky Automated Survey, which have been scanning the northern and southern hemisphere skies in tandem since 2006. They’ve been looking for changes in stellar brightness, and Boyajian’s Star certainly fits that bill. Below is a graph of what they’ve found: the brightness of Boyajian’s Star over the past ten years. Figure 2. The brightness of Boyajian’s Star over time. Black points come from the All Sky Automated Survey. Red points come from the Kepler mission. 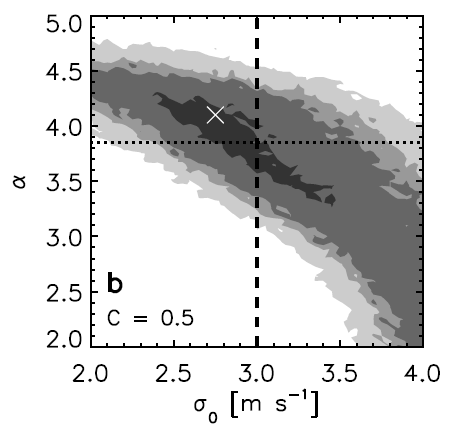 Blue points come from the All-Sky Automated Survey for Supernovae (no relation). According to the black points, Boyajian’s Star hasn’t just been getting straightforwardly fainter–it’s had brightening spells, too! If you focus on the middle of the data, which overlapped with observations taken by the Kepler space telescope, you’ll see why we thought Boyajian’s Star was dimming gradually over time. That’s a pretty straight down-pointing line. But if you zoom out to the full ten years, you see that Boyajian’s Star has had at least two brightening episodes in the past decade. The first happened from late 2006 through 2008, and the second from late 2013 through early 2015. So what, you ask? 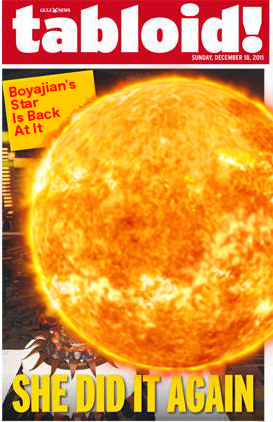 Boyajian’s Star is still spending most of its time getting fainter, not brighter, and the end result is that it’s fainter now than it was in 2007. The answer is that we still don’t know why any of this is happening–and any explanation must now account not just for the crazy 20% dips in flux and the century-long net dimming, but also for these intermittent glows. Previous hypotheses–which include the idea that Boyajian’s Star is dimming after gulping down a planet some time ago, and that the present-day flux dips are due to leftover orbiting debris–may struggle to explain it all. Stay tuned! Awe, man, that’s what MY thesis was gonna be on.